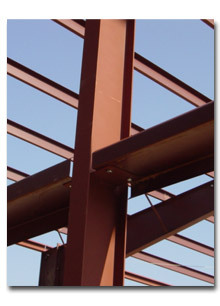 Whenever an All-Steel structure is required for your business expansion plans, F.E. Sawyer All-Steel Buildings should be your first and last call. Whether you need a single slope, modular or conventional profile or any combination--F.E. Sawyer is all about easy installation and quick completion time. Our wide range of sizes and options can be tailored to fit virtually any budget, and you'll be proud to own a new building from us, designed to meet your individual requirements. F.E. Sawyer's design flexibility will allow you to create your own look for a custom, one-of-a-kind appearance. You can choose from overhang canopies, fascias and gutter systems in a variety of color combinations with 30 year limited warranties. 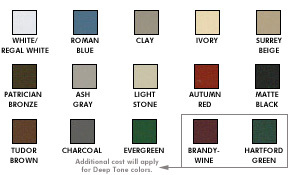 Due to color shifts in individual monitors, color swatches on your computer screen are approximate and will vary from actual product colors.